Do you decorate your refrigerator door? After seeing the ideas above on PureWow and A Cup of Jo, I started to think about my own fridge’s decor. Right now, mine is covered with lots of magnets collected from over the years — some from the Guggenheim and the Met, others that I made myself using old movie stubs and Red Sox tickets. Each magnet holds up something important like a friend’s wedding invite, or a baby announcement or clever postcard I want to save. But the ideas above are inspiring — I love the chalkboard, and the penguins, too. 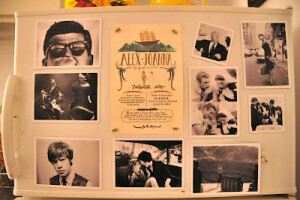 And Joanna’s fridge with classic pics of JFK and Audrey Hepburn? How sweet! 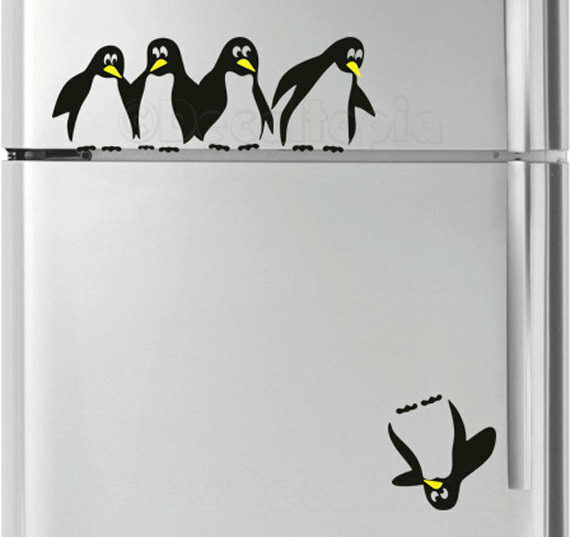 Tell me — what’s on your fridge at home?